During the initial run of H.M.S. Pinafore, Carte clashed with his backers, and the Comedy Opera Company was dissolved –– with hard feelings on both sides. 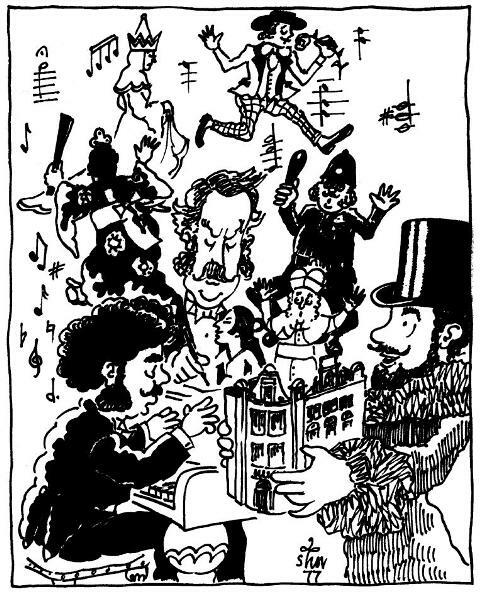 Carte formed a partnership with Gilbert and Sullivan and the triumvirate went on to produce The Pirates of Penzance. Ever since Pinafore, the company had been distressed by American entrepreneurs who had been producing unauthorized Gilbert and Sullivan operas without paying royalties. Carte decided the best way to solve that problem would be to open their new show in New York rather than London. 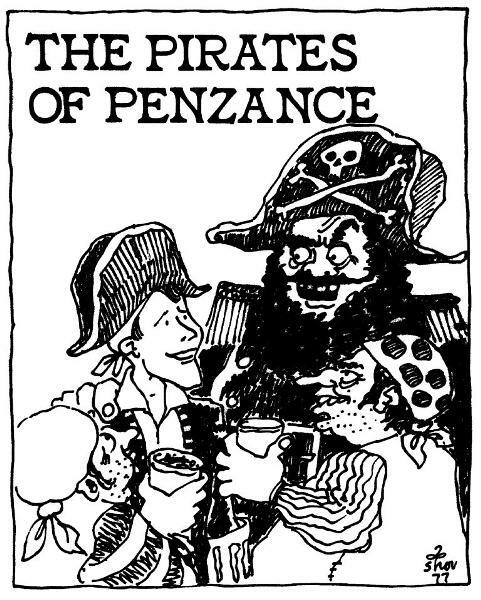 So the trio came to New York and opened The Pirates of Penzance at the Fifth Avenue Theater on December 31, 1879. The opera opened in London’s Opera Comique the following spring and had a run of 363 performances –– considerably less well received than its predecessor but still a great success. The story line satirizes the Victorian proclivity toward an excessive devotion to duty, even when such devotion leads to ridiculous actions. This illustrates another Gilbertian brand of humor: the ultimate result of carrying a good thing too far. 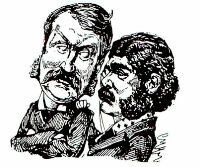 Sullivan’s music is generally described as a parody of Italian opera, nowhere better illustrated than in the famous number where the pirates belt out “With cat-like tread, upon our prey we steal,” as they stomp across the stage. Even in Gilbert’s time this was a well-known resort town on the southwest tip of England, equivalent perhaps to America’s Cape Cod. A British army officer of the lowest grade of general officers, ranking just below a lieutenant-general (229). Stone (284) mentions that in the U.S. Army the rank of brigadier general is yet lower than that of major general. A county in the extreme southwestern corner of England, known for its rocky, picturesque coast. A fortified Spanish wine made from grape juice twice fermented. This seems a rather elegant beverage for a band of cut-throats, but it has the virtue of rhyming with merry. 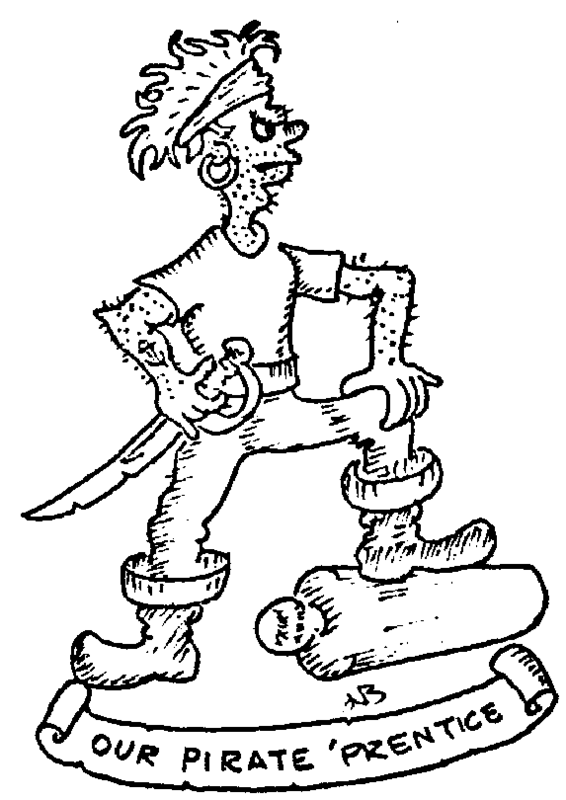 Walters (302) suggests that “pirate sherry” may really have been rum. On the other hand, Kravetz (182) and Turnbull (294) think that Gilbert is hinting at what is revealed in the end, which is that the pirates are all noblemen who have gone wrong. Drinking out of glasses is another clue. Kravetz also suggests that their being noblemen explains why they never attack a party weaker than themselves. Not cricket, you know. A glass or mug so full that, courtesy of surface tension, it bumps up in the middle (56). Apprentice; one bound to a master for a given period to learn a trade or art. Deliberately sinking a ship by knocking holes in her bottom. A ship of the Cunard fleet, presumably a passenger liner. To isolate and capture or destroy one ship of a fleet. A ship of the Peninsular and Oriental line, presumably a passenger liner. A person qualified to guide a ship entering or leaving a harbor. Waves distorted by shallow water, as over a reef or close to shore. Read: always making disastrous mistakes. An Englishman’s expression of approval or even approbation. Brewer (55) explains that at one time disapproval of a speaker was indicated by humming. To offset that, those in favor of the speaker cried “Hear him,” which eventually became “Hear, hear!” See also Iolanthe, The Mikado, and The Zoo. The totality of a nation’s ships and seafarers engaged in commerce, more commonly called the merchant marine. High tide. Getting a sailing ship out of port is greatly eased if you wait until the tide is running out, which phenomenon invariably occurs shortly after high tide.